Cybersecurity | Cambridge International Systems, Inc.
Cybersecurity and infrastructure vulnerabilities pose a serious economic and national security challenge. Cambridge employs active security controls that combine discovery, prevention, threat intelligence, and internally-developed threat detection capabilities to protect your critical infrastructure. Cambridge leverages industry best practices and customized customer analysis to provide cybersecurity hardening that accounts for business considerations and mission needs. 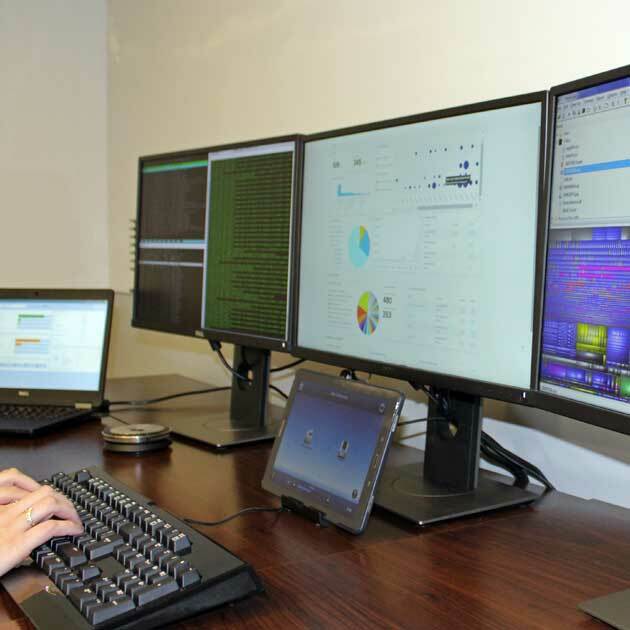 Our cybersecurity personnel provide hardening, privacy, and risk management services for Windows and Linux operating systems, databases, web servers, and applications. They have expertise in security management, policy development, and risk management and have vast experience supporting hardening and operational efforts of Amazon Web Service solutions as applied to the Federal Government. Our cybersecurity team offers deep expertise and thought leadership to ensure your data confidentiality, integrity, availability, and usability. 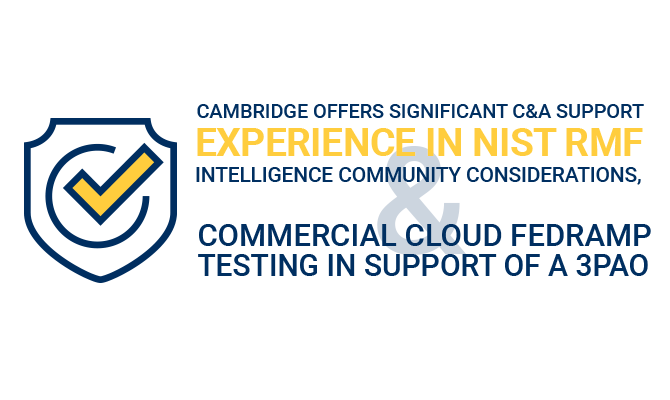 Cambridge offers significant C&A support experience in NIST RMF, intelligence community considerations, and Commercial Cloud FedRAMP testing in support of a 3PAO. Each C&A event provides our customers an accurate picture of the security posture of the environment. Our threat analytics efforts focus on providing data specific to the organizations’ risk levels. This allows the prioritization of the mitigation and remediation the organization undertakes. We provide support to identify potential threats, log and track incidents, provide forensic analysis, and work through the incident response process. We provide both hands-on and consultative support to assist in hardening of systems. These efforts are balanced with mission need and business considerations to determine the best fitting solution. Cambridge personnel support Government accreditations of Commercial Cloud solutions and hold Qualified Navy Validator status. Explore the latest Cambridge Cybersecurity case studies.